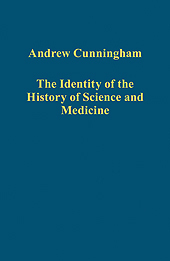 Over the weekend I came across Andrew Cunningham’s collection of essays in The Identity of the History of Science and Medicine (2012). I had briefly mentioned Cunningham in an older post, but for heuristic purposes I thought it would be useful to reflect on some of his arguments here. Beginning in 1988, Cunningham published an essay on “Getting the Game Right: Some Plain Words on the Identity and Invention of Science.” In this essay he asks whether the historian of science is “studying the right subject?” That is, when the historian sets out to study the history of science, is she or he properly equipped to identify science in the past? The short answer Cunningham posits is no: historians of science have failed to properly identify the nature of science. As such, we also fail to properly understand its history. “It follows,” he writes, “that if we get it wrong—if we are identifying the wrong thing as science—we will be writing myths, hallucinations and romances which can only purport to be a history of science: we will be writing accounts of events which may not have happened, and of the adventures of a something which may well not have existed.” In other words, understanding the nature of this thing we call “science” is absolutely essential—otherwise we are just creating myths. The source of this error, Cunningham claims, is “that we are actually taking to our investigation a ready-prepared set of finding guides to identify past science.” These guides or assumptions determines (i.e. dictates) what we consider “science” in the past—indeed, it determines all the history that we write. But this is clearly arbitrary, if not entirely mistaken. In short, our conception of “what science is” is absolutely critical. To overcome our “present-centredness,” historians of science need to remove certain obstacles hindering our view of the past. The first, Cunningham tells us, is our belief in the inherent “specialness of science.” This is difficult, no doubt, as “science, its claims and achievements, totally dominate our modern outlook. The world we live in, the physical, the technological, and the intellectual world, id deeply pervaded and affected by the presence of science and scientists.” Although I disagree with Cunningham’s claim here (it seems to me that our modern outlook is pervaded by the belief in science rather than science), for the sake of the argument we will assume he is correct. Now, because science has become so pervasive, we take for granted certain claims about the nature of science. The most obvious example, that it is “objective.” But according to Cunningham, this commitment to “objectivity” in science prevents us from raising a “single question about the nature of science, or about the appropriate shape of a valid history of science.” Thus our “present-centredness” has already settled its history, shaping “the past of science to our own preconceptions about the nature and importance of science—preconceptions which are derived from the present”! This is quite the dilemma. What do we as historians of science do? First we need to realize that the very “specialness of science” needs to be investigated. That is, why do we put so much faith in science? Secondly, we need to put this “specialness” completely aside. If we do not do this, Cunningham says, “we will simply be writing self-serving and self-confirming history, from which all properly historical questions have been refused application.” Indeed, our commitment to the “specialness of science” has prevented us from “treating the history of science historically” (my emphasis). Cunningham then compares the human activity of science to a game. Like games, science is intentional, structured and disciplined; it has a point and has rules; you either participate in it or you do not; it is indiscriminate, no matter who plays it; the experts are the only skilled players; and it is invented. Comparing science to a game, Cunningham admits, sounds almost sacrilegious. And there is actually a good, historical reason for this. It is important to stress that Cunningham’s argument is about human practices and their intentionality. As we shall see later, many of Cunningham’s critics miss this very crucial point in his argument. In the final section of his essay, Cunningham draws our attention to the period c.1780-c.1850, when our modern conception of “science” was first invented. By using the term “invented,” Cunningham simply means the fact that science is a practice and creation of men. The invention of “science,” Cunningham argues, was causally inter-related to the massive political, social, intellectual, and economic changes of the period. The discipline of the history of science was also invented during this same period, in the early nineteenth century. “The inventors of science and their immediate successors,” he claims, “unselfconsciously rewrote the past in a way which showed themselves to be the heirs to a grand tradition.” When historians of science began writing histories of the “inductive” sciences, or histories of “biology,” “geology,” “chemistry,” or “physics,” such historians “gave science itself a new identity.” They separated the human practice from the concept. That is, “they separated the thought—the ‘idea’—from the thinker.” Ideas, in others words, became autonomous concepts, detached from the lives and practices of their creators. This is of course is what has often been called “whiggish” history.